Time for a most awesome cover reveal from our friends at Spence City (an imprint of Spencer Hill Press). This one's for Blood of the Sun by Errick Nunnally! After more than one-hundred and forty years, Alexander Smith is suffering from memory loss that plagues him like a supernatural Alzheimer’s. He has lasted longer than most by clinging to the love he has for his adopted daughter, the vampire Ana, and puzzling out cases of missing or murdered children. Without them, he wouldn’t be able to ignore the ghost of a child from his guilty past or fight the whispers goading him to kill. 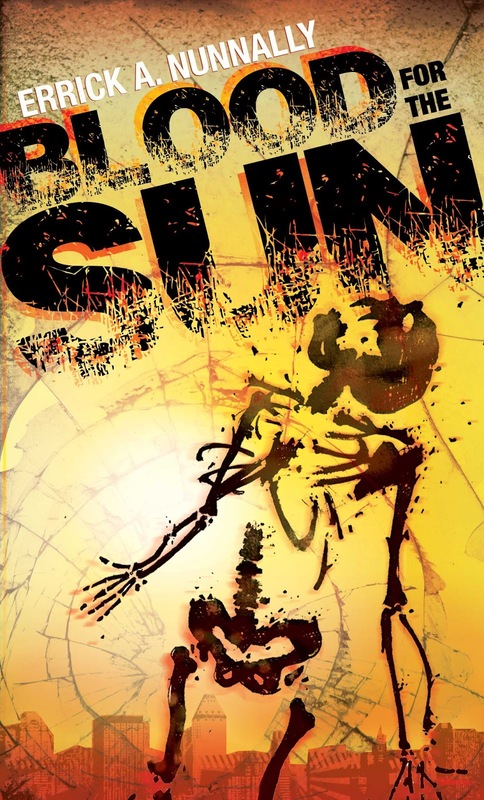 On his latest job, he’s stumbled upon a vampire conspiracy that has left a trail of child murders up and down the East Coast—a conspiracy that promises inoculation against the sun. If true, the conspirators’ success would mean a bloody conflict, altering the balance between humans and the supernatural forever. Losing more of his mind every day, Alexander has two impossible tasks ahead of him if the world is to survive: stop the vampire coven and reconnect with his humanity. Sounds cool, right? Well you can look forward to this title from Spence City in the future! Born and raised in Boston, Massachusetts, Errick A. Nunnally served one tour in the Marine Corps before deciding art school would be a safer—and more natural—profession. He always strives to develop his strengths in storytelling and remains permanently distracted by art, comics, science fiction, history, and horror. Trained as a graphic designer, he studies Krav Maga and Muay Thai kickboxing in his spare time. Errick’s successes include: the upcoming publication of his book, Blood For The Sun; a comic strip collection, Lost in Transition; first prize in one hamburger contest; the short story Who Bears The Lathe? in eFiction’s inaugural SciFi issue; the sci-fi short, Legion, in the anthology Doorways to Extra Time; two lovely children; and one beautiful wife.